Don’t know a call from a put? Randall offers lessons at any level. We work with you individually to teach you what you need to know to get started trading options. Ours is not a one-size-fits-all curriculum, it’s custom-fit for you. Once you’ve grasped the basics, we’ll help you extend your knowledge and hone your trading skills to get to the next level. Again, we start with where you are and custom-make a course of study for you. No matter how advanced your needs, Randall Liss will help you take your options trading capabilities to the next level and work with you to perfect the risk profiles you’re working to create or maintain. Help your organization or important clients understand options theory and working method. Previous corporate clients have included ABN-AMRO, Chicago Institute of Investments, optionsXpress, NADEX. Randall Liss is a seasoned veteran of the options industry. 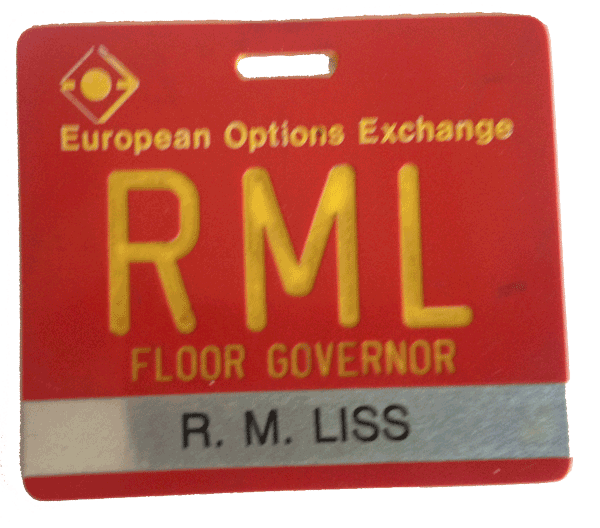 Mr Liss helped found the European Options Exchange in Amsterdam in 1978 (now part of Euronext). He traded as a market-maker on the floor of the exchange from 1986 until the trading floor closed in 2002. He was an elected member of the Board of Directors, a long time member of the Business Conduct Committee and a co-founder of The Market-Makers Association. He ran a market-making operation for a large Dutch bank and also managed his own market-making firm. Since 2006 Mr Liss has devoted his energy to educating traders using his own proprietary curriculum, The Theory and Working Method of Trading Options. Randall is also an on camera options analyst for Bloomberg TV and the Business News Network. In 2008 Mr Liss returned to the town of his birth, Chicago. Mr Liss strongly believes in demystifying the options market and making the seemingly complex understandable. What Is The Liss Report Really About? Join today and get access to The Liss Report, as well as invitations to our webinars and more!